December is when I kick my crafting into high gear. I have so much fun making things to decorate my home and gifts for the ones I love. I bought a variety of ornaments from the craft store in hopes of creating unique ornaments for our tree. 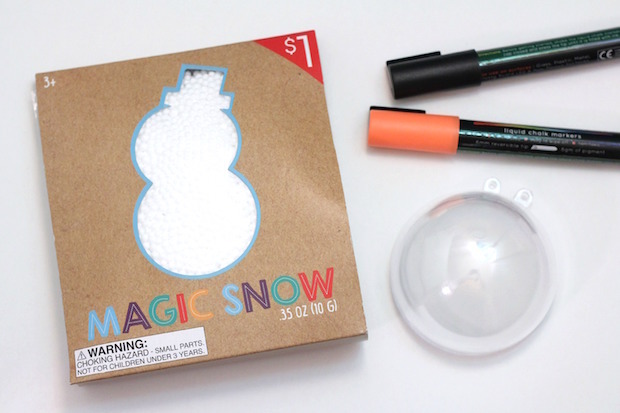 Finding “magic snow” in Bullseye’s Playground was great since it makes the perfect snow to put inside these easy to make snowman ornaments. 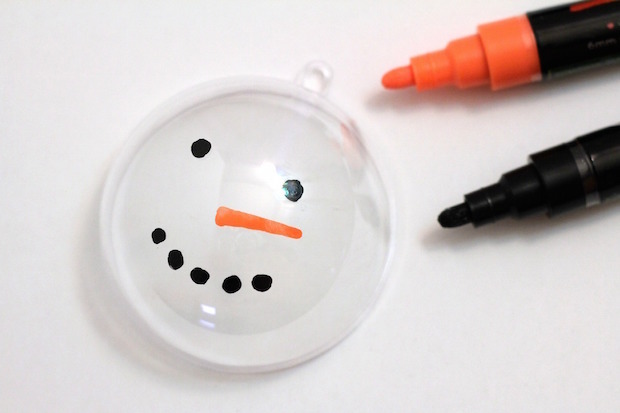 Draw a snowman face on the ornament. Chalk markers work really well for this since they work kind of like paint to leave a thick, colorful design on the clear plastic. 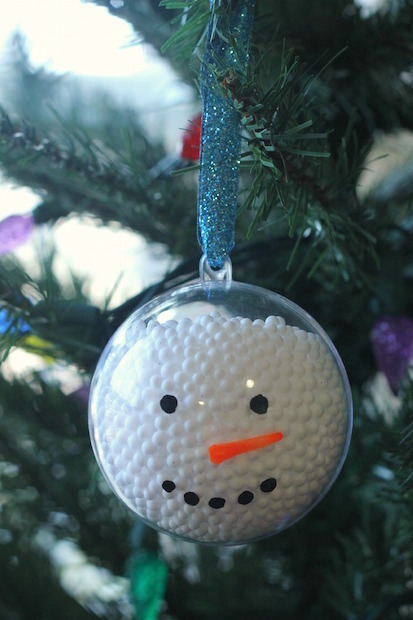 Let it dry and then fill the ornament with the magic snow. Once you add ribbon it’s all done and ready to hang. The holidays can be a bit hectic, so it’s nice to have a simple but fun activity to do with the family. You don’t even have to stick to making a snowman. 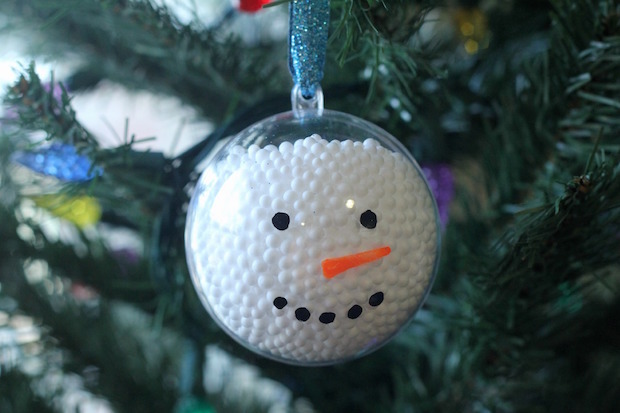 Use different colored chalk markers to create any design you want on your ornaments.